It's the 11th of June, meaning that one month ago today I was donning a blue dress and arranging cupcakes in preparation for the Blue Sunday tea party fundraiser. If you aren't familiar with Blue Sunday, it's the brainchild of our lovely Anna - this post explains the ins and outs - and basically involves eating cake and drinking tea to raise money for crucial biomedical research into ME, as well as all-important and much-needed awareness. What I love most about Blue Sunday - apart from the cake, let's be real - is the inclusivity. With an 'anyone and everyone welcome' policy, hundreds of people joined in virtually by sharing their photos via social media or had their own tea party with loved ones. Donating what they would've paid in a cafe for a cup of tea and slice of cake, my family backed the cause - my mum made a coffee date with one of her best friends, my dad wore a blue shirt to show his support and my grandma got together with her neighbour for the occasion. 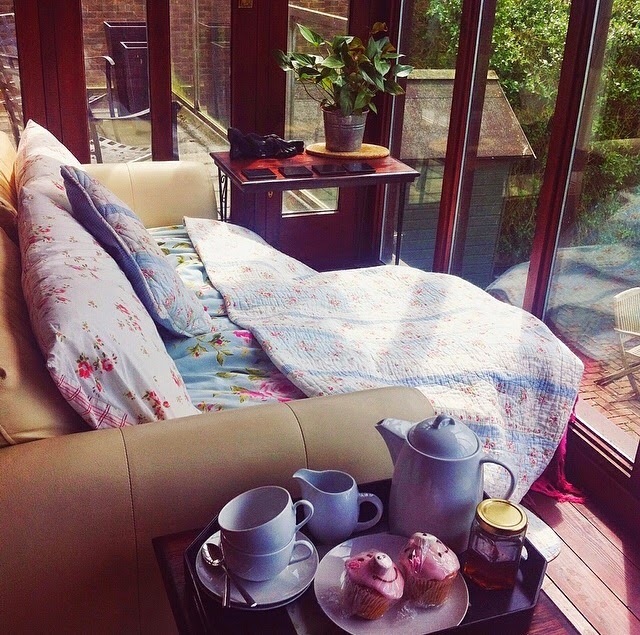 Sick chicks version of a tea party - comfort is paramount! As for me, I had the pleasure of spending the day with the (spoonie) sister I never had - Hayley. After talking daily for months, meeting her in person felt like we'd known each other for years and we ended up chatting for 4+ hours - safe to say, we were comparing our shaky hands and felt drunk with adrenaline by the time we said our goodbyes, but we had a lot of catching up to do! A beautiful person inside and out, she gave me the kindest and most thoughtful gift that I treasure - every chronically ill person needs a friend like Hayley. My usually shy cat Tom took a liking to Hayley - maybe he has a soft spot for spoonies? I also feel a tremendous amount of love for Anna, who deserves the hugest round of applause and a million high-fives after such a successful, triumphant Blue Sunday 2014. Severely affected by ME yet raised almost £900 for the ME Association, brought empowerment (and more importantly, cake) to hundreds of sufferers and has been nominated for the Just Giving Awards? Your fellow spoonies couldn't be prouder, Anna. Bring on Blue Sunday 2015! What a beautiful and heartwarming post! It is so lovely to see you and Hayley together. 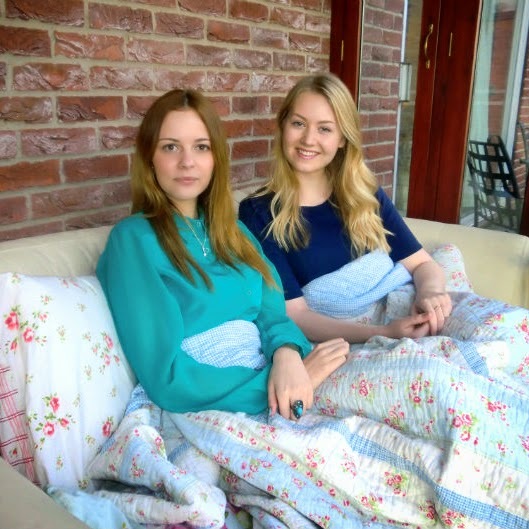 I'm sure it was such a gift to share that time together as "spoonie sisters"; and for such a wonderful cause, too :) It must have been quite exhausting for you two but also filled you up with so much love and laughter! Thanks for sharing!